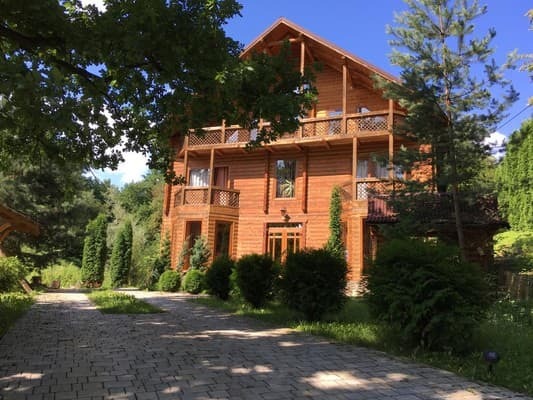 The private estate "Gutsulka Ksenia" is located in the city of Kosiv, 500 meters from the center. 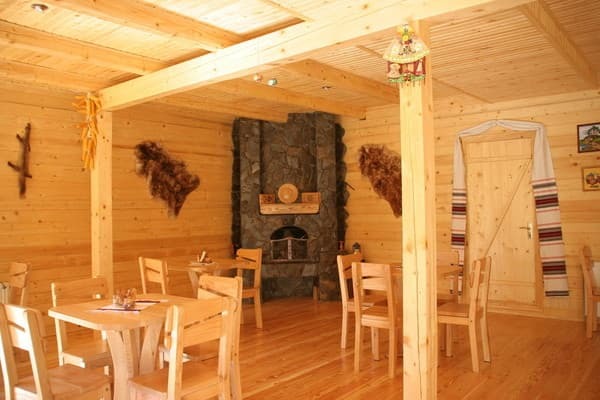 The farmstead is a three-storey wooden cottage for 16 places: on the 1st floor there is a living room with a fireplace; on the 2nd floor - rooms Junior Suite; on the 3rd floor there is a rest room, a terrace with wicker furniture. 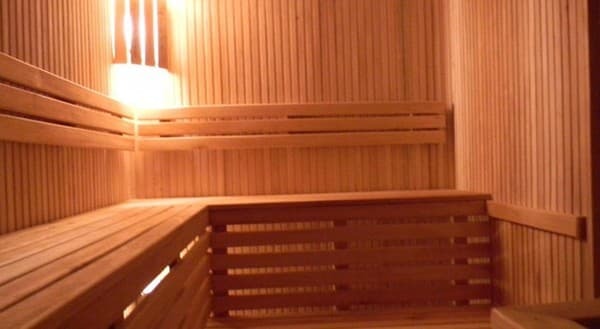 The hotel "Gutsulka Ksenia" has all the conditions for a comfortable stay. The rooms are equipped with comfortable furniture, TV with satellite channels, bathroom (shower, toilet, washbasin). 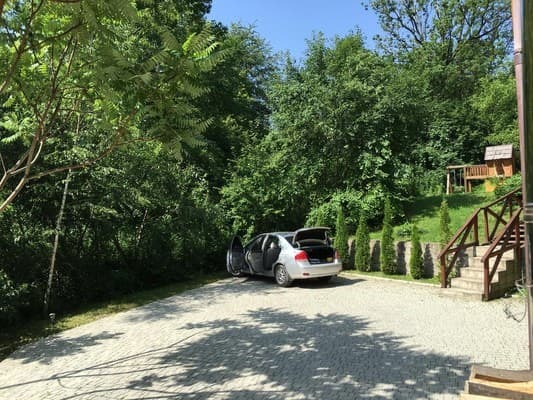 On the territory of the estate there is a garden, BBQ, gazebos, free parking. Meals - by prior arrangement. To the nearest ski lift - 2 km (Mount Mikhalkov). PRICES MAY CHANGE, YOU NEED TO UPDATE THE OPERATOR'S INFORMATION! Description of the room: On the second floor - double room - double bed, clothes hanger, TV, balcony, bathroom (shower, toilet, washbasin). Description of the room: 3-bed room - double and single beds, clothes hanger, TV, balcony, bathroom (shower, toilet, washbasin, towel dryer). 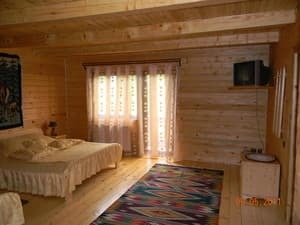 One of the rooms is decorated in Hutsul style. Description of the room: 4-bed room - 2 double beds, wardrobe, TV, balcony, bathroom (shower, toilet, washbasin). 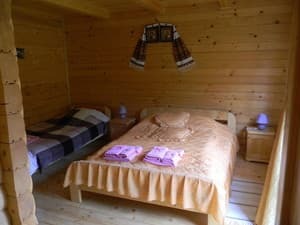 Description of the room: Three-storey wooden cottage for 15 seats: on the 1st floor - living room with fireplace; on the 2nd floor - rooms Junior Suite; on the 3rd floor there is a rest room, a terrace with wicker furniture. 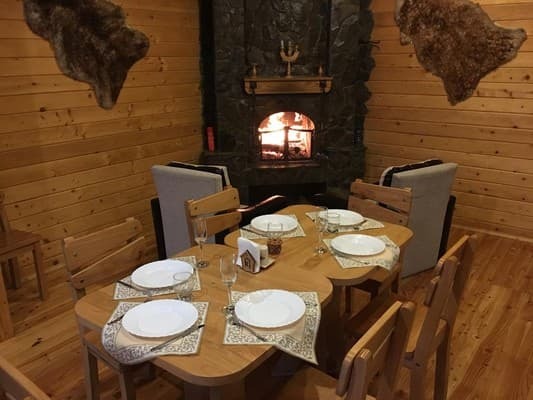 The farmstead is 500 m from the center of the town of Kosiv, 200 m to the forest, to the nearest "Prodotti" store, the restaurant - 500 m. To the nearest ski lift - 2 km. (Mount Mikhalkov). By public transport bus from Ivano-Frankivsk to Kosovo. By car from Ivano-Frankivsk to Kolomiya, then to Kosovo, we advise to agree with the hosts about the meeting in the city center.